his is the third book I'm sharing, and by the same author as the first book I shared. It's not intended to be favoritism, although, in a way it is just that. I happen to have both of these in my peruse pile right now, since Apples for Jam is a recent acquisition. 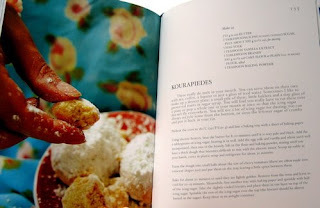 They are both cookbooks, but they are gorgeous! 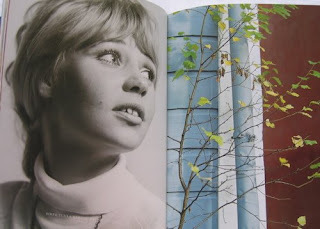 I love reading the snippets of her life that are interspersed throughout the books and flipping through the photographs. 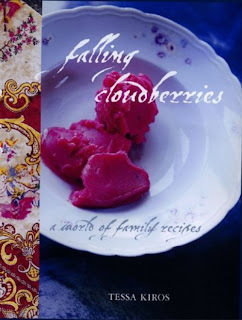 "Finland still remains a dream; a faraway land where Father Christmas lives and glides here and there with his sleigh, ducking through falling cloudberries and past my mother ice-skating to school....."
Falling Cloudberries contains a very interesting collection of family recipes organized by heritage or origin. 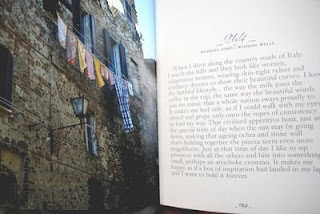 A non-traditional layout for a cookbook, but it works perfectly with the stories and photographs she shared. If you are a cookbook purist, you may find the organization of both Apples for Jam and Falling Cloudberries annoying. If, like me, you are drawn to blogs like Orangette and Smitten Kitchen for not only the recipes, but also the gorgeous photographs and narrative about that particular recipe, then you'll love it! are interspersed with personal anecdotes and their pictures. I'd love to know what you think if you own either of these cookbooks or what your favorite recipes from them are. If you are interested, Who Wants Seconds has an interview with Tessa where she shares her Lentils, Rice & Red Onion Salad recipe. p.s. What is the recipe on the cover?! I believe it is a lingonberry sorbet from the Finland recipes. I'll double check when I get home today.